The Montgomery Area School District is committed to providing a rewarding, rigorous, and relevant educational experience that provides opportunities for all students to achieve success in the workplace or post-secondary education. Courses are aligned to Pennsylvania Core Standards and PA Assessment Anchors at the elementary and middle school level and the Keystone Exam Anchors and Common Core Standards at the high school level. This ensures all students achieving their utmost potential.Students requiring extra assistance in meeting the standards have Remediation/Acceleration period built into their schedules to meet their needs. 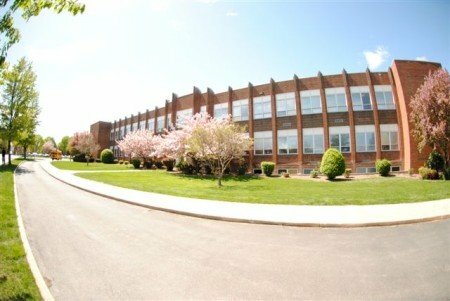 For those students searching for opportunities for advancement, the district offers the Gifted program as well as honors classes, Advanced Placement classes in Calculus, English Literature, American US History, and Biology, as well as, Dual Enrollment courses in CAD, Construction, Culinary Arts, Engineering, and Business through the PA College of Technology. In addition, students have the opportunity to earn college credits through their end of program assessment on the NOCTI. Our curriculum is standards based and our staff is committed to research proven best practices in education. Results of standardized tests have shown the Montgomery Area School District to be one of the highest performing school districts in Pennsylvania. Assessments are varied and include paper and pencil tests, writing assignments and performance task assessments (projects, oral presentations, etc. ), which utilize a rubric or checklist. The PSSA in English/Language Arts and Mathematics are given in grades 3-8, while students in eight through eleventh grade take the end of course exams in Algebra I, Literature, and Biology. The PSSA in Science PSSA is given in 4th & 8h Grades. All students in grades 3-8 take the 4Sight Benchmark Assessment in Reading and Mathematics to predict the proficiency of students on the PA Core Standards, PA Assessment Anchors, & Keystone Anchors. This assessment provides teachers with the tools necessary to monitor and adjust their curriculum, so students can be successful. Teachers employ research-based strategies to increase student achievement within their classrooms. These exemplary practices include guided reading, inquiry based learning, cooperative learning, differentiated instruction, acceleration, extending thinking, distributive summarizing, and others as they are introduced. In addition, several Integrated Learning Systems, including Read Naturally, Study Island, and Fast Forward compliment the classroom instructional practices. Professional development is provided for the faculty and staff in order to assist them in the delivery of curriculum via In-Service Days, Act 80 Days, and conferences. Through these efforts, the administration and staff team to provide an educational environment that is laser focused on student learning and achievement. In essence, they do “whatever it takes” to guarantee a high quality education is afforded to all students within the Montgomery Area School District.